Toward the end of their undergraduate career, most students find themselves wondering about what’s next – the job market, graduate school, etc. Some students, however, have their hearts set on medical school, dental school, veterinary school or other professional programs from day one. The decision to apply to these programs is not an easy one- between the financial burden, mental and emotional burden, and the time commitment going forward, it is easy to get lost amongst the application cycle. I want to offer a few specific tips and tricks about the application process that I learned along the way. Due to my dual interest in veterinary medicine and research, I chose to apply to DVM programs, combined DVM/PhD programs, and Master of Science program. I additionally chose this path due to my lower GPA, as DVM programs are highly competitive. PhD and master’s programs are additionally highly competitive, but generally have a smaller applicant pool. 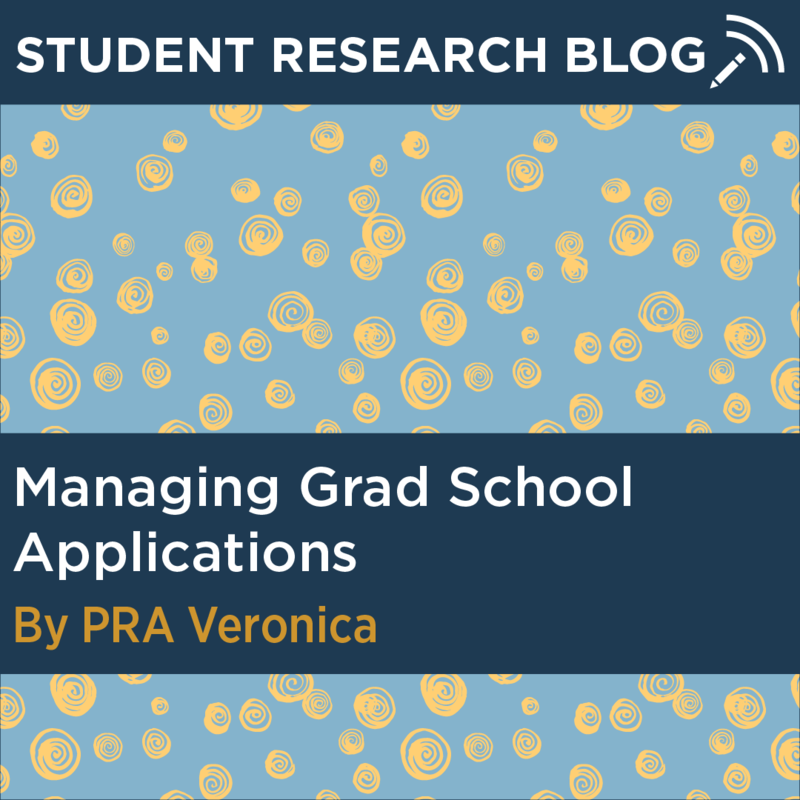 I had originally planned on applying to a multitude of PhD and master’s programs, but was faced with the reality that I had burned out of energy in filling out application after application. Applying to multiple different types of programs comes with a variety of pros and cons. Pros: All of these applications afforded me many opportunities in the event that certain schools rejected me, which ended up being the case. They gave me peace of mind while waiting for admissions decisions, knowing that I would most likely get in somewhere. Cons: All of these applications were expensive, time consuming, and ultimately were unnecessary due to my acceptance to veterinary school. However, the peace of mind during the waiting process was worth it. Have your letters of recommendation arranged and submitted well in advance. This gives professors/working professionals plenty of time to craft a quality letter. Keep records of every essay and every part of all applications. Often, programs ask for the same information in different ways. This will save you time and headaches! Take a deep breath, and try to let go after you have submitted. It is out of your hands, and you will end up where you are supposed to be! For me, I’m excited to share that I will be attending the University of Illinois at Urbana-Champaign for their Doctor of Veterinary Medicine program in August 2019! Veronica is a senior double majoring in Animal Science and Pathobiology. Click here to learn more about Veronica.